Throughout the novel, Kwon’s writing stuns. It shines in the little details and in-between sentences where you’re least expecting to find yourself lingering over a beautiful phrase. Bouncing rhythmic lines like “a high-bodied bus listed past, piping exhaust” threaten to take off with the narrative. Others make you stop and bask in them for a while: “the nights melting like ice slivers into one God-struck evening.” I found myself wanting to mine these in-between lines and gather them into a small book of poetry. If Kwon, like her “God-struck” characters, has a religion, it’s language. And thank … um goodness for that, because the characters in the novel are absolutely infuriating. Will, the primary narrator, replaces his lost faith with an obsessive toxic relationship with Phoebe, a woman that he paints as a seductively elusive manic-pixie-dream-girl type. Although the book’s chapters switch between the stories of Will, Phoebe and budding cult leader John Leal, Phoebe’s chapters are told from Will’s troubling perspective. At first, Will gives us a problematically romanticized Phoebe, the “bleeding, feverish creature [he] didn’t know how to stop wanting.” As distance grows between them, Phoebe’s narrative also begins to loosen itself from Will’s often nauseating perspective. Phoebe is revealed to be a young-minded woman who has suffered loss and trauma and is wildly flinging herself at anything that might help numb or disappear the guilt and pain she feels. “It’s who I am. I hurt those I love,” she all but quotes from some sort of post-adolescent angst handbook. Phoebe soon vanishes once again from her own narrative, becoming a shadowy presence behind the shroud of Jejah, the religious cult into which she tries to lose herself and the pain of her traumas. By the end, she exists almost completely in Will’s imagination. The cult leader John is also barely a character. His chapters are brief, rarely more than a page long. He appears like an apparition into and out of the story. He feels almost unnecessary, except that a cult needs a leader. At best, he is a figurehead for the more powerful driving forces of the story — loss, faith, self-delusion. These shadow characters put the reader at a distance. While Kwon’s beautiful writing draws you in, Will’s warped perspective keeps you decidedly outside of this trio of faith-sick characters. This distance reflects the many losses expressed in the novel and reminded me of what it’s like to be shut out from someone you care about because of fanaticism. Kwon, having personally experienced the pull of faith and the devastation of its loss, is gentler with these characters than I could ever be. “But the faith did recognize the potential effect of pain: how it can, with most of us, open what’s closed,” Kwon writes. She does not let her characters off the hook for their detestable behaviors, but she does not villainize them beyond human recognition either. They blow up buildings, manipulate and hurt people, sometimes navel-gaze to an eye-rolling degree. They are troubled and troubling characters and they are precisely as comprehensible and infuriating as they should be. 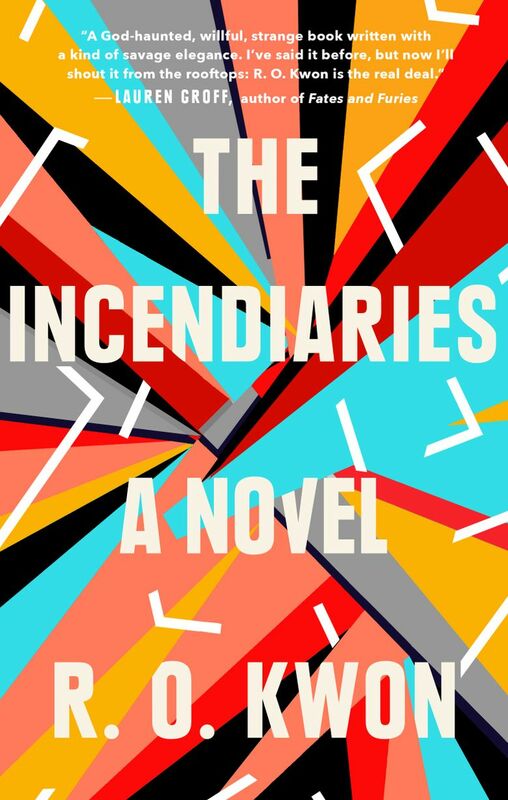 Despite, or likely because of, these difficult characters, “The Incendiaries” is a haunting portrayal of faith — its draw, its loss, its dangers. “It’s gradual, then it happens all at once,” Will says, describing his own loss of faith, and reflecting the careful pace of the novel. It quietly prepares you for everything you already know will happen, yet when it strikes, you wobble. Faith and loss spark against each other in every interaction of “The Incendiaries,” until, as the title promises, eventually they ignite, and what remains is a mess of human lives altered almost beyond recognition.